To let out the rising storm waters? Glad you are back, Philip. I hope you enjoyed the holiday season with your family! 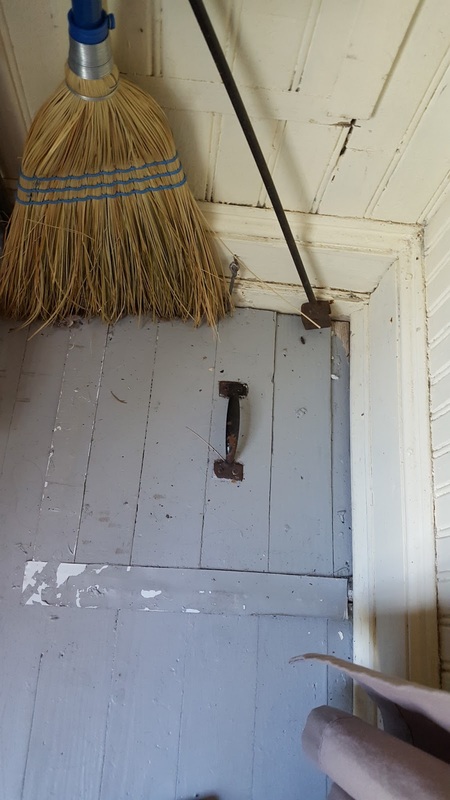 I concur with NJ Reader, that more than likely this door was not only used to let rising water out -- but, maybe just as important, to let it in so the house wouldn't float away. I agree with both previous answers...the trap door would pop open with rising flood waters because flooding the house was better than the house floating away. Are the above answers a guess? This subject has been written about back in June 0f '17 and the thought it would prevent a house from floating off the foundation. 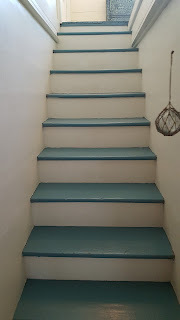 (I google-ed OI house trap door what purpose) Anyway I love that paint color on the "trap" door however, even though this is not a real estate blog I bet that house sold for 439,000 dollars. Yes, the trap door was to let flood waters into the house to prevent the house from floating away. 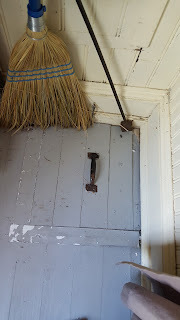 Several older island houses have trap doors or evidence of holes cut into the floors for just that purpose. 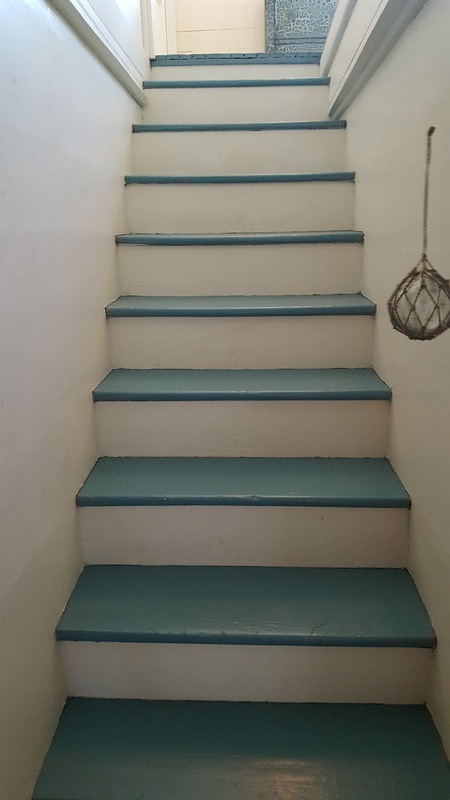 does it lead to the basement or wine cellar? No basements or wine cellars om Ocracoke; water table is too high! All of the houses are up on pilings.